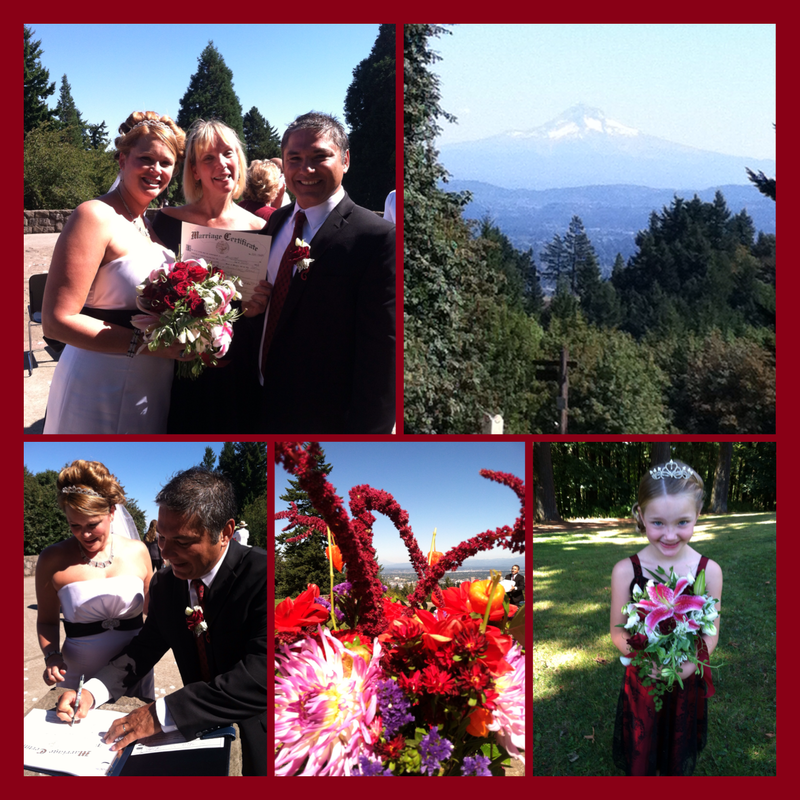 Five majestic mountains provided the backdrop as Jeff and Jaimee exchanged vows yesterday afternoon. Sunny skies afforded distant views of Mt. Hood, Mt. Rainer, Mt. St. Helens, Mt. Adams and Mt. Jefferson. The wedding was held at historic Council Crest Park, said to be the highest elevation point in Portland. Jaimee’s 6-yr old daughter, Isabella, was all smiles as she escorted her Mom down the rose petal aisle. Jeff’s buddies wore their Timber fan scarves and both the bride and groom referenced their devotion to the team in their vows. A picnic in the park followed the ceremony. After a honeymoon in California, the couple will return to their Tigard home. Congratulations, Mr. & Mrs. Johnson! May you continue to view each other as “infinimates” and create a lasting marriage of joy.